Micromax India’s second largest smartphone player and leading consumer electronics brand, today announced the induction of Sanjay Kapoor, former CEO of Bharti Airtel to the Micromax promoter group and Chairman of the board with immediate effect. This development reflects Micromax’s vision of stepping up to the next phase of growth as it continues its journey to become India’s number one smartphone player and the first Indian mobile brand to be successful globally. Micromax will be leveraging Sanjay’s vast experience in building India's biggest telecom services brand and his industry expertise built playing an active role in prominent industry forums like GSMA, CII, COAI and NASSCOM over the past 13 years. Commenting on his appointment, Sanjay Kapoor, Chairman, Micromax Informatics Limited said, “I am excited as an entrepreneur to be a part of the promoter group and as a professional to lead the Micromax board & management. I look forward to adding value to all stakeholders leveraging my strengths in building scale, developing brands and understanding consumers. 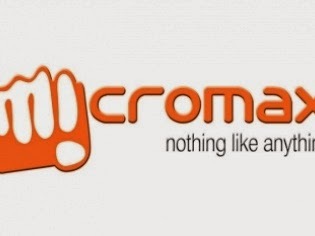 There is a tremendous potential for Micromax, a vibrant youth brand that has led the democratization of technology for masses, offering affordable innovations to the consumers." Sanjay is an established global leader in Telecom and allied industry. Sanjay was the Chief Executive Officer for India and South Asia of India’s largest telecom company, Airtel (March 2010 till May 2013). Sanjay remains one of the key leaders in building Bharti Airtel from being one of the many players in the industry to making it as the number one telecom player in India, during his tenure with the company from July 1998 to May 2013. 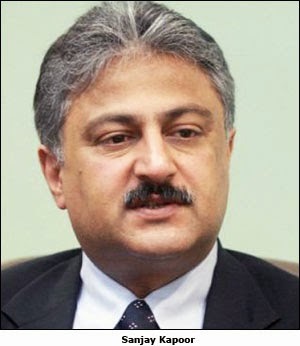 He has also been a Board & Executive committee member of GSMA, (the global forum bringing together nearly 800 global mobile operators); Board member of Indus Towers (world’s largest telecom tower company with a portfolio of more than 1 lakh towers). Presently, Sanjay is an active member on the board of Bennett, Coleman & Co. Ltd and PVR Limited. He was declared the “Telecom person of the year” at the Voice and Data Telecom Leadership Awards 2012. VMware Inc., the global leader in virtualization and cloud infrastructure, has unveiled VMware Horizon 6, an integrated solution that delivers published applications and desktops on a single platform, for Indian enterprises. Horizon 6 is the industry’s most comprehensive desktop solution with centralized management of enterprise applications and desktops, including physical desktops and laptops, virtual desktops and applications and employee-owned PCs. Today, end users are using new types of devices for work, accessing Windows applications alongside non-Windows-based applications, and are more mobile than ever. In India, according to survey respondents, almost every employee (97 percent) works outside the office, and 9 in 10 employees believe that they are more productive if they are allowed to work outside the office. However, strict IT policies continue to be imposed to prevent the leakage of confidential information (73 percent) and avoid the misuse of company assets (66 percent) by employers today. These insights came from the VMware MeConomy 2014 survey that was conducted in 14 countries across Asia Pacific and Japan to understand the attitudes and preferences of employees in an increasingly mobile world. The study also found that more Indian organizations are supporting employees in ways to gain access to the resources for working outside the office (90 percent). 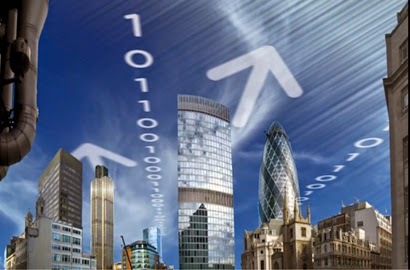 “With India’s increasingly mobile and young workforce today, organizations are busy preparing for the mobile cloud era. They want to transform their applications and enterprise desktops and extend access to employees on any device, from anywhere and want a comprehensive solution that is simple, secure and cost effective,” said Ramesh Vantipalli, Head EUC India & Regional SE Manager - South, VMware India. In this new mobile cloud world, managing and delivering services to end users with traditional PC-centric tools has become increasingly difficult and can lead to security and compliance concerns. Horizon 6 provides IT with a new streamlined approach to deliver, protect, and manage Windows desktops and applications while containing costs and empowering end users to work anytime, anywhere, on any device. Cisco today announced the next generation of its leadership in India, reflecting the strategic importance of Cisco India for the company. The new leadership comprises Dinesh Malkani, President - Sales for India & SAARC; Amit Phadnis, President - Engineering & India Site Leader; and V C Gopalratnam (Gopal), President - Strategy, Planning and Operations, India and CIO, Asia Pacific and Japan & Greater China. Together, this leadership team will help accelerate Cisco’s momentum in India by strengthening its focus on innovation to lead market transitions. This announcement underlines Cisco’s commitment to India and marks an exciting new phase of growth, aligned to the country’s national transformation agenda. The Cisco India site is a complete ecosystem with a significant presence of engineering, Services, Sales, IT, and other support functions. Dinesh Malkani takes over from Jeff White and will report to Irving Tan, Cisco’s President, Asia Pacific & Japan. India is at the heart of Cisco’s emerging markets strategy, and Dinesh will lead the company’s efforts to help transform the country’s economy through technology. He will drive Cisco's senior level external engagement, including those with government and industry associations, to drive growth and market leadership in India and SAARC. Amit Phadnis as the new India Site Leader will lead Cisco’s focus on innovation, ecosystem and talent development in the country. Amit will drive the India Site charter, focusing on strengthening the interlock between Cisco’s teams, including engineering and sales, and customers, while aligning the company’s India site strategy with evolving customer and partner needs. As part of his focus on the India site, Amit will drive the university relations strategy, employee engagement and talent development for the employee base in India. Another major focus area for Amit is developing the Engineering and Independent Software Vendor (ISV) partner ecosystems. In addition to this role, Amit leads the Enterprise Engineering portfolio in India and will continue to report into the organization led by Rob Soderbery, Senior Vice President & General Manager of the Enterprise Networking Group in the US. V C Gopalratnam (Gopal) will take on the newly created role of President of Strategy, Planning and Operations for Cisco India, in addition to his role as CIO for Asia Pacific, Japan & Greater China. 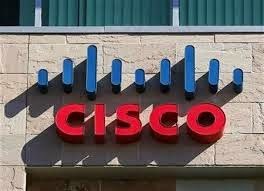 Gopal will help create better synergies between Cisco’s internal IT organization and the company’s technology roadmap as well as drive infrastructure development and operations to facilitate growth and productivity. Gopal will work closely with the university relations team in shaping curricula to help produce next generation industry ready talent. He will also oversee enablement of Cisco’s priorities of inclusion and diversity (I&D), employee volunteering and corporate social responsibility (CSR). Gopal will continue to report to Rebecca Jacoby, Cisco’s global CIO. Gopal also serves on the board of the Cisco Foundation. Cisco is uniquely positioned to help its customers navigate the demands of the cloud, mobility, the application economy, and the Internet of Everything. 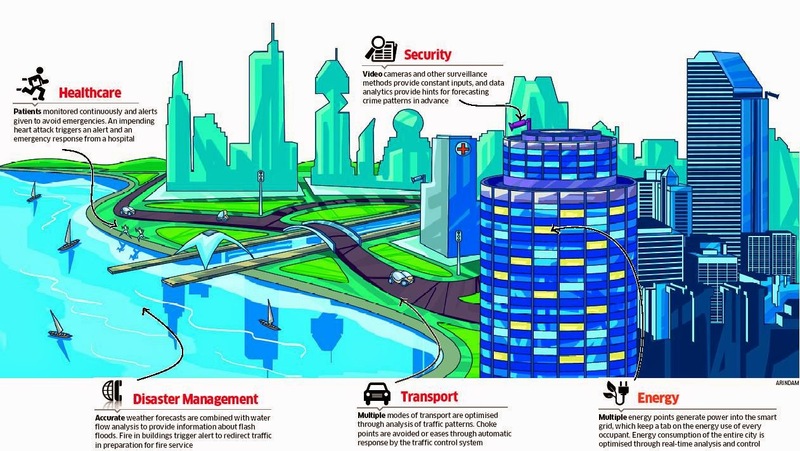 In India, over the next few years, a key priority for Cisco is to be a transformational partner to the government and help build an ecosystem that brings technology and services into villages, and benefits the masses. The new leadership team will drive this agenda through sustained engagement with customers and external influencers; delivery of relevant products, services, and solutions; and an ongoing focus on local innovation and engineering to offer business outcome based solutions. 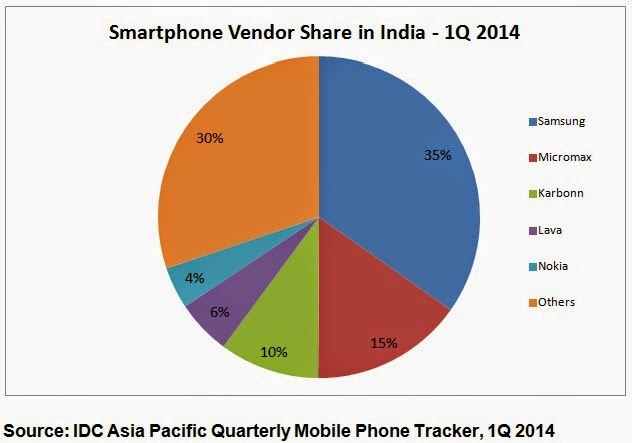 India was the highest growing market in Asia Pacific with a year-on-year smartphone shipment growth of over 186% in 1Q 2014.The vast majority of the country's user base migrated to smartphones from feature phones and as a result Indian smartphone market outshone other emerging markets like China which registered a year-on-year growth of 31% in 1Q 2014. The smartphone penetration in India still hovers at 10% and it is expected to grow due to a variety of factors including greater availability of low-cost devices and additional sales emphasis by top-flight vendors on less populous parts of the country. According to the International Data Corporation (IDC), the overall India mobile phone market stood at close to 61.07 million units in 1Q 2014 which is a 10% quarter-on-quarter dip and a mere 1% year-on-year growth. The dip in the overall mobile phone market shipments can be attributed to the 18% decline in the feature phone shipments from 4Q 2013 to 1Q 2014. This was offset by the smartphone market, where units shipped grew by close to 17% in 1Q 2014 compared to 4Q 2013. 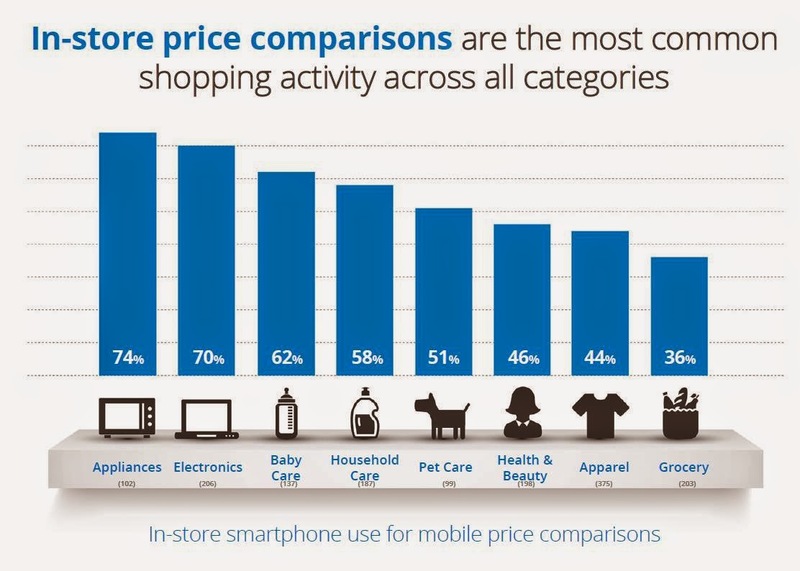 The consistent growth in the smartphone market is driven by enhanced consumer preference for smart devices and narrowing price differences. The share of feature phones in the overall market further slipped further to 71% in 1Q 2014 which is a considerable decrease from 90% share in 1Q 2013. 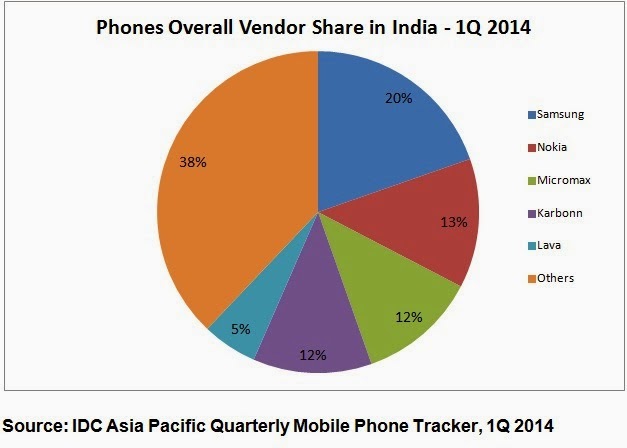 The India smartphone market grew by a whopping 186% year-on-year in 1Q 2014. According to IDC Asia Pacific Quarterly Mobile Phone Tracker (excluding Japan), vendors shipped a total of 17.59 million smartphones in 1Q 2014 compared to 6.14 million units in the same period of 2013. The shipment contribution of "phablets" (which IDC defines as 5.5 inch-6.99 inch screen size smartphones) in 1Q 2014 was noted to be around 5% of the overall market. The category grew by 125% in 1Q 2014 in terms of sheer volume over 4Q 2013. The primary reason behind this trend is the launch of low-end phablets by international and local vendors alike. The sub-200 USD category in smartphones contributed to about 78% hinting at the fact that the growth in the India Smartphone market still remains constrained towards the low-end of the spectrum. 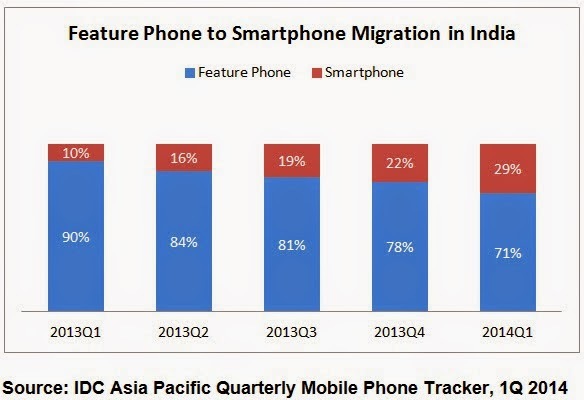 "As more vendors continue to launch low priced smartphone models, the price gap between feature phones and smartphones will be narrowed, driving rampant user migration in the price sensitive Indian market," says Manasi Yadav, Senior Market Analyst at IDC India. "This rapid pace of growth in smartphones is expected to continue in India. While we notice that much of the growth is coming from low-cost devices using the Android operating system, Windows is making adequate gains too based on the strength of the entry level product mix in smartphones," comments Kiran Kumar, Research Manager- Client Devices at IDC India. * Samsung maintained its leadership in the smartphone market with 35% market share in 1Q 2014. High volumes came in from the low-end devices like S7262 Galaxy Star Pro Dual SIM and Galaxy S Duos 2 S7582. * Micromax held onto its 2nd position with approximately 15% market share. The top selling models for Micromax came in from the low-end Bolt Series. * Karbonn was 3rd position with approximately 10% market share. Its low-end range of 2G smartphones did well in 1Q 2014. * LAVA climbed up to the 4th position with close to 6% market share. New XOLO launches like A500S and A500 have fared well. * Nokia made its way back to the top 5 list with about 4% market share. The Nokia X launch coupled with other low-end Lumia phones helped in improving the overall performance of the brand. IDC anticipates that the migration from feature phones to smartphones will increase as cheaper variants of smartphones are launched in the market. Growth in the smartphone segment is expected to outshine the overall handset market growth in the foreseeable future. According to the 1Q 2014 lDC forecast, the India smartphone shipments will reach 80.57 million units by the end of CY 2014. IDC expects that the Indian smartphone market will grow at a CAGR of about 40% for the next 5 years. Mphasis, a leading IT services provider, today announced that it will debut its new wealth management solution developed in conjunction with AppCrown at the INSITE 2014. The combination of Mphasis’ CRM and Support Services in conjunction with AppCrown's applications empower financial institutions to better manage their wealth management businesses. AppCrown is the leading provider for cloud based financial systems across CRM for Banking and Wealth Management. INSITE is a premier industry event for success-minded financial advisors, produced by Pershing, the financial industry's largest global outsourcing provider. * A 360-view of the client from leading CRM systems: This single view to success helps wealth management professionals keep their finger on the pulse of business without having to reference multiple systems. 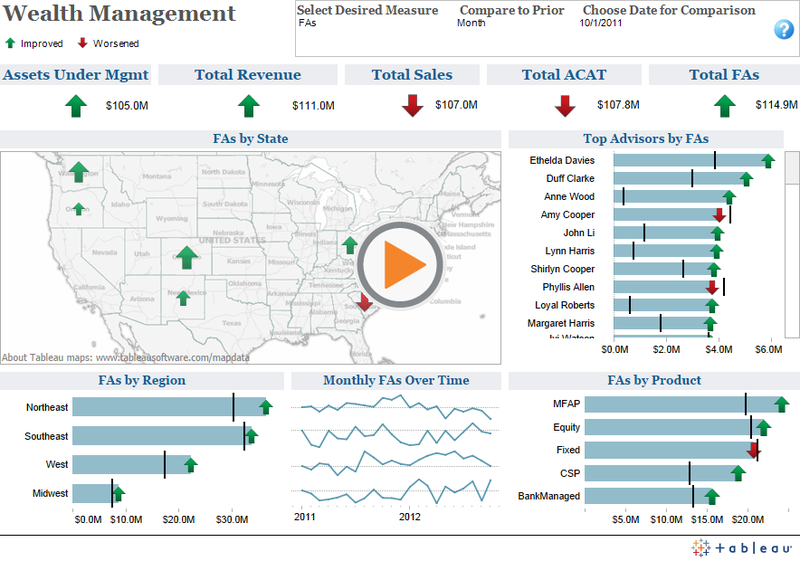 * Advanced reporting and analytics: Business intelligence tools help advisers better understand their customers, provide better service and increase transactions. For executives, comprehensive reporting tools enable both at-a-glance KPIs and in-depth reporting into team performance and the bottom line. * Maximize CRM investment: The ability to utilize data from all leading CRM systems, helping financial institutions maximize their investment in Salesforce.com and other systems. To experience an insightful demonstration of how Mphasis and AppCrown can help wealth management businesses gain competitive edge, visit booth #618 at INSITE 2014. The companies will also conduct multiple giveaways throughout the show. SAP AG has introduced SAP Simple Finance, a set of solutions to bring the simplicity of SAP Cloud powered by SAP HANA to finance departments worldwide. As a leader in finance solutions for the last several decades, SAP worked closely with customers to identify the most complex tasks in finance and make them simpler to consume and perform. 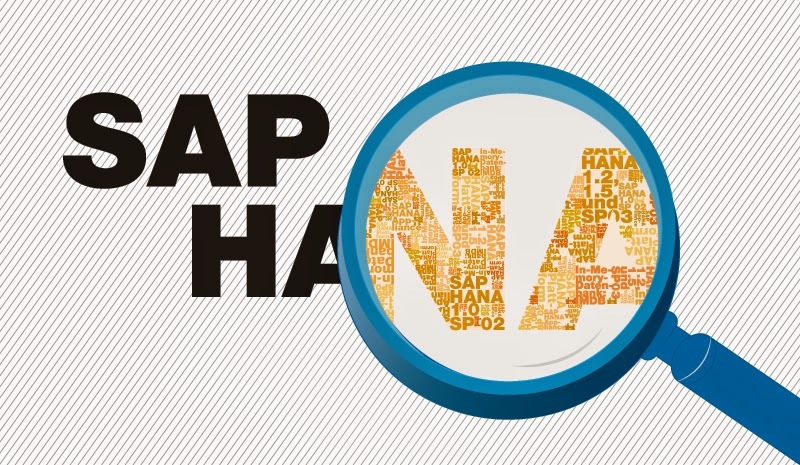 The result is SAP Simple Finance, based on SAP HANA in SAP HANA Enterprise Cloud, delivering real time insights to CFOs and finance departments so they can transform their business. SAP Simple Finance takes full advantage of the in-memory SAP HANA platform with new finance capabilities, offers a new and beautiful user experience for easy access, all deployed in SAP HANA Enterprise Cloud under a full subscription model, making it easy for finance departments to adopt these solutions. This modern finance software is designed to help CFOs accelerate their finance transformation and deliver strategic outcomes to their business. The announcement was made at SAPPHIRE NOW, being held June 3-5, 2014, in Orlando, Florida. SanDisk Corporation, a global leader in flash storage solutions, today announced the availability of its new SanDisk Extreme PRO SSD—a drive designed for gamers, PC enthusiasts and media professionals who demand the highest possible consistent, real-world performance. With sequential read speeds of 550 megabytes/second (MB/S) and write speeds of up to 520 MB/s, the SanDisk Extreme PRO loads and runs graphics-intensive applications and game levels in a heartbeat. Additionally, by offering up to 1TB-Class of capacity, the SanDisk Extreme PRO SSD provides the space needed to store even the biggest programs, games or files, and load them blazingly fast—transforming any PC or console into a serious gaming machine. According to DFC Intelligence, PC gaming revenue recently eclipsed console gaming and they forecast that the PC gaming market will exceed $25 billion in 2014. This increasing popularity is being largely driven by the rise of multiplayer online battle arena titles and free-to-play games. With the SanDisk Extreme PRO, an industry leading, real-world performance SSD, anyone can upgrade their PC to boot up faster, open files more quickly, and load programs, applications, and games in a fraction of the time. 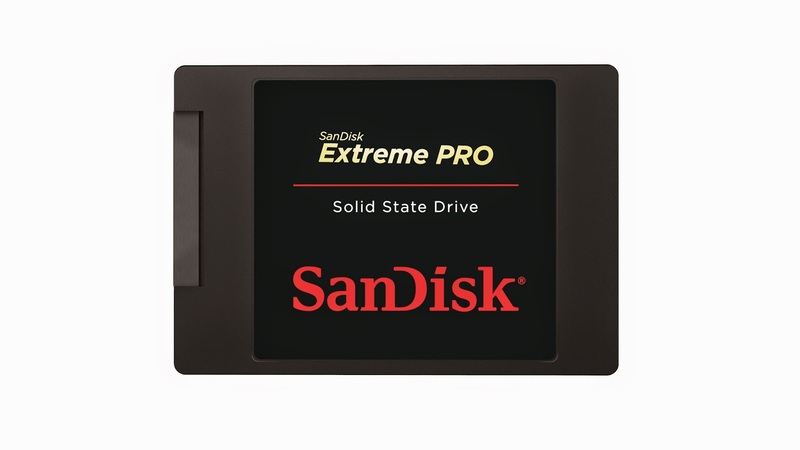 The SanDisk Extreme PRO is also supported by the new SanDisk SSD Dashboard application for Windows, which provides drive performance monitoring, firmware updates, manual or scheduled TRIM, secure erase, drive health, longevity, and temperature indicators, so that users can increase the operating efficiency of their SSD. The SanDisk SSD Dashboard is available for download immediately at www.sandisk.com/ssddashboard. 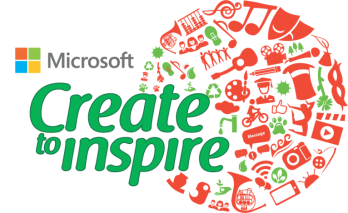 Following the success of “Create to Inspire” Fellowship 2013 in Kolkata and Ahmedabad, Microsoft Devices has partnered with WWF-India to launch the 2014 edition of the program in Delhi today. Create to Inspire Fellowship provides a platform to young people to use their creative arts to build innovative social action projects under the guidance of established mentors from various fields of art. These projects, in turn, aim at creating awareness and initiating conversations around effective and judicious consumption and management of water, energy, transport and e-waste. The 2014 Delhi fellowship will focus on Urban Biodiversity. Under the fellowship, 50 young creative people in the age group of 18 to 25 years will be selected and mentored by 5 renowned artists and 2 subject matter experts for a period of 4 months (July to October). The fellows will have an opportunity to learn about issues plaguing Delhi and NCR’s biodiversity and use that knowledge to create exciting projects through dance, theatre, film, photography, and other art forms. This will help create a new social context in the city with the aim of encouraging people to preserve its biodiversity. The final projects will be showcased in Delhi starting September. The mentors include Arunkumar H.G., contemporary artist; Dinesh Khanna, professional photographer and co-founder of the Delhi Photo Festival; Geeta Chandran, Indian classical dancer; M.K. Raina, one of India’s best-known theatre actors and directors and Vandana Kohli, renowned photographer and musician. Two experts on Delhi’s Biodiversity will guide the program content, using their knowledge on the matter to help the fellows make their projects more meaningful and impactful. They are Manoj Kumar Misra, Executive Director of the PEACE Institute Charitable Trust and Convenor, and head of Yamuna Jiye Abhiyaan, the Yamuna Forever Campaign; and Pradip Krishen, well-known environmentalist, naturalist and author, and an ‘ecological gardener’ who works with native flora wherever he creates planted landscapes. Speaking at the launch of 2014 Delhi edition of "Create To Inspire” Fellowship, P. Balaji, Managing Director, Nokia India, a subsidiary of Microsoft Mobile Oy., said “Over the years, Nokia has been committed towards sustainable consumption of resources and Create to Inspire is another step taken towards the same commitment. We believe for the creation of a sustainable future, it is essential to inspire people, especially the youth, to make sustainable choices in all spheres of their lives. The inspiration and the unbelievable response we got from the last season of our Create to Inspire Fellowship program has been the key driving force for us to expand this program to other cities”. 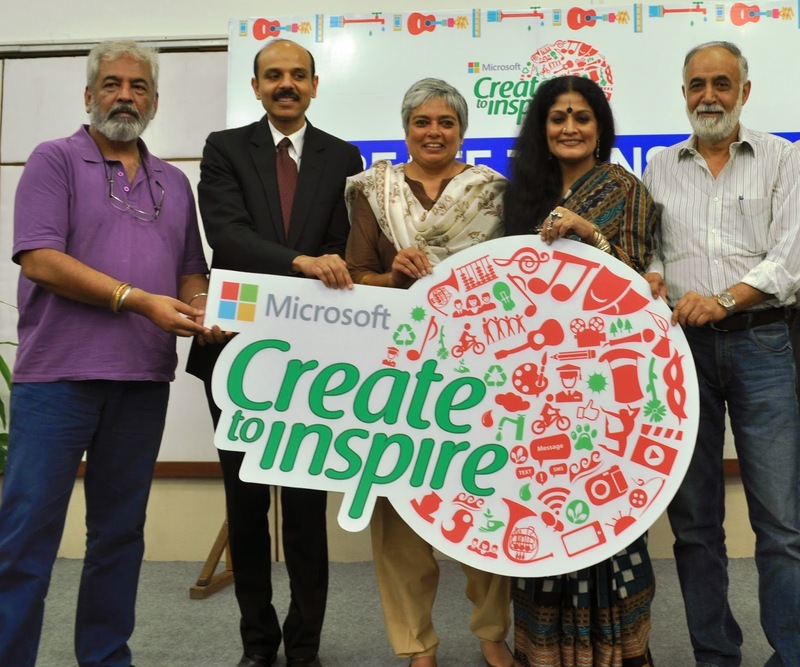 Speaking about the partnership with Microsoft Devices, Dr. Sejal Worah, Programme Director, WWF-India, said: “WWF is delighted to collaborate with Microsoft Devices in this endeavour to promote awareness on biodiversity among young people through a creative medium. Over the years, WWF India has engaged with children and youth in many different ways and this partnership takes these efforts a step further by focusing on the creative arts for conservation. We urge the youth of Delhi to seize this opportunity and showcase their talent while creating much-needed awareness about Delhi’s dwindling biodiversity”. As computing continues to evolve and expand beyond the traditional PC, Intel Corporation President Renée James said Intel and the Taiwan technology ecosystem have the exciting opportunity to build on the long history of collaborative innovation to deliver seamless and truly personal computing experiences. Processor technology continues to get smaller with greater performance and lower power thanks to Moore’s Law, expanding the scale and potential for Intel technology and that of the Taiwan ecosystem, from infrastructure for cloud computing and the Internet of Things to personal and mobile computing and wearable technology. James highlighted the Intel technologies, products and collaborations with the Taiwan and broader ecosystem aimed at making a new wave of computing devices smart, integrated and connected to each other, the cloud and to people’s lives. James said Moore’s Law is the foundation, while also reducing costs for increasingly smaller form factors with the performance and lower power people have come to expect. Underscoring that point, she talked about Intel’s commitment to deliver a broad choice of SoC and communications options for tablets and smartphones across a range of form factors, price points, and operating systems. James noted that Intel currently has 130 tablet design wins that are either in market or will be in market this year, from global OEMs and ODMs. 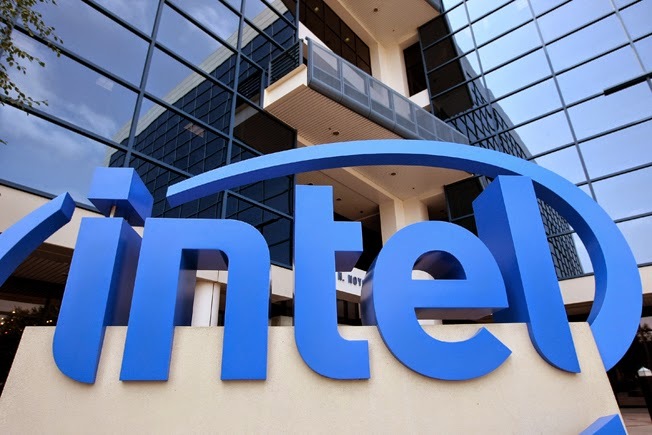 More than a dozen Intel-based tablets are launching in the Computex timeframe. Approximately 35 percent of Intel Atom processor-based tablet designs currently include or will include Intel communications solutions. James also said the category 6-capable Intel XMM 7260 LTE-Advanced platform is now shipping to customers for interoperability testing and emphasized this puts Intel into a leadership position. This new technology is expected to appear in devices in the months ahead. Foxconn executive Young Liu joined James on stage to showcase more than 10 Intel-based tablets available now or coming soon, ranging from the entry to performance segments. The tablets are based on Intel Atom processors (codenamed “Bay Trail” or “Clovertrail+”) SoCs, and many include Intel’s 3G or LTE communications platforms. Noting progress toward bringing the company’s first integrated mobile SoC platform for entry and value smartphones and tablets to market in the fourth quarter of this year, James made the first public phone call using a smartphone reference design based on the dual-core Intel SoFIA 3G solution. Intel will also bring a quad-core SoFIA LTE part to market in the first half of 2015 and last week announced a strategic agreement with Rockchip to add a quad-core SoFIA 3G derivative for entry-level tablets to the SoFIA family, also due in the first half of next year. James also revealed the world’s first 14nm fanless mobile PC reference design from Intel. The 2 in 1 is a 12.5-inch screen that is 7.2mm thin with keyboard detached and weighs 670 grams. It includes a media dock that provides additional cooling for a burst of performance. The innovative design is based on the first of Intel’s next-generation 14nm Broadwell processors that are purpose-built for 2 in 1s and will be in market later this year. Called the Intel Core M processor, it will deliver the most energy-efficient Intel Core processor in the company’s history 1. The majority of designs based on this new chip are expected to be fanless and deliver both a lightning-fast tablet and a razor-thin laptop. Intel is also delivering innovation and performance for the most demanding PC users. To that end, James introduced the 4th generation Intel Core i7 and i5 processor “K” SKU, the first from Intel to deliver four cores at up to 4 GHz base frequency. This desktop processor, built for enthusiasts, provide higher performance and enable new levels of overclocking capability. Production shipments begin in June of this year. For the performance-hungry data center I/O needs, James introduced the Intel Solid-State Drive Data Center Family for PCIe to meet the increasing need for high-performance, consistent and reliable storage solutions in the data center while helping to lower total cost of ownership. 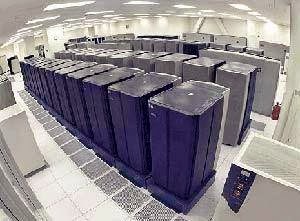 The drives will be broadly available in the third quarter of this year. 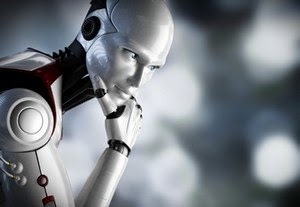 In order for computing to become more personal, James said it needs to meet people on their own terms, making interaction more natural and intuitive. She highlighted collaborations and new advances to bring Intel® RealSense technology and 3-D cameras and supporting applications to a growing number of 2 in 1, all-in-one, tablet and other personal computing devices. James said that the Intel RealSense software development kit 2014 will be made available to developers in the third quarter of 2014, providing opportunity for developers of all skill levels to create natural, intuitive user interfaces. Emphasizing Intel’s support and commitment to the software ecosystem, the company will hold the $1 Million Intel RealSense App Challenge 2014, and the ideation phase will begin in third quarter of 2014. G7 CR Technologies India Pvt Ltd, a part of G7 Group of companies, a niche global IT Solutions and Services Company, today announced the launch of HAPA, an integrated software offering for HR solutions, powered by Microsoft Azure. 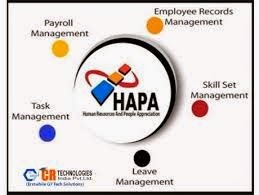 HAPA provides an end to end integrated human resources solution - from recruitment to retirement. Designed specifically for small & medium size enterprises, the app acts as a platform in the cloud that provides customers a comprehensive set of HR features in a cost-effective manner. HRMS applications empower the HR functions in an organization to manage talent and its retention processes more effectively, thereby enabling HR to focus on qualitatively increasing the talent pool. HAPA is an easily deployable and customizable HRMS that can improve the existing processes, unify various HR systems, and create tremendous impact on the organization’s bottom line. Microsoft Azure provides HAPA with durable cloud storage and a secured cloud platform compliant with key industry standards. Says, Christopher Richard, Managing Director, G7 CR Technologies India Pvt. Ltd., "With this new launch we aim to take the HRMS experience for SMEs to newer levels. Equipped with a varied set of web applications & geo-redundant cloud storage for back up, archiving & disaster recovery, HAPA provides our customers with an edge over other HRMS apps. The Microsoft Azure platform allows us to scale as our install base grows. It also enables creating, managing & distributing media on the cloud - everything from encoding to content protection to streaming & analytics support....everything that the HR function has ever asked for." * With Microsoft Azure data centers across the globe, HAPA allows you to enjoy the advantages of massive investment in data centre innovation and a worldwide content delivery network. It also allows customers to build applications for users irrespective of their location. SAP Labs India has announced that on June 1, powered by SAP Technology, the Kolkata Knight Riders (KKR) claimed the seventh edition of the Pepsi Indian Premier League (IPL). 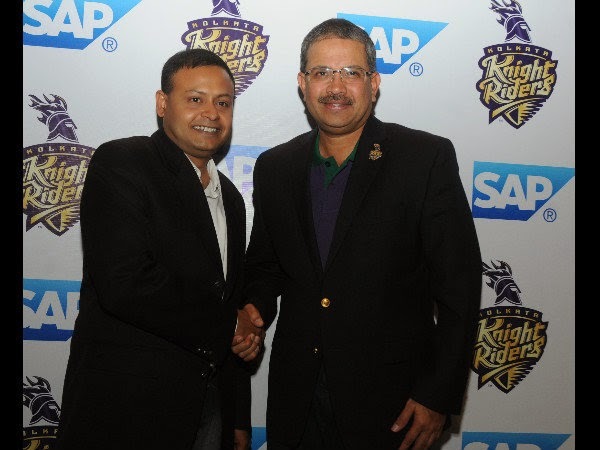 SAP HANA based platforms - SAP Auction Analytics, SAP Game Analytics, and SAP Lumira enabled KKR to evaluate players during the auction, derive post-game analytics following each of the team’s games, and drive fan engagement respectively, during the Pepsi IPL 2014. A data visualization software, SAP Lumira, provided fans with statistics to learn more about how KKR performed over the course of the 16-match campaign during the Pepsi IPL 2014. 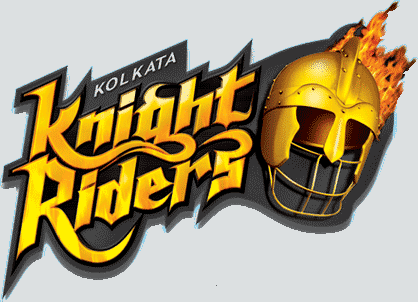 Furthermore, the SAP Game Analytics solution helped analyze the strengths and weaknesses of each player competing in the IPL to help KKR increase team readiness and performance versus its opponents over the course of 60-match event en route to the title. * The National Basketball Association (NBA) for fans to get interactive access to virtually unlimited amounts of official NBA statistics and analysis, including every official box score in NBA history. * The National Football League to adopt on-demand technology from SAP for its proprietary NFL.com Fantasy Football offering. * The Women’s Tennis Association (WTA) to further engage fans, players, and better serve the media through the development of innovative technology and apps. International Data Corporation (IDC) announces that it expects the Asia/Pacific Bring Your Own Device (BYOD) market to continue strong growth in 2014 and into 2015 as consumer smartphone and tablet continue gain market across the region. In IDC’s latest BYOD studies, “Asia/Pacific (Excluding Japan) Bring Your Own Device End-User Survey 2014” and “Asia/Pacific Bring Your Own Device 2014–2018 Analysis and Forecast”, BYOD is defined as part of enterprise mobility. The practice of BYOD refers to devices that users have personally purchased with their own funds, without help from the employer. The employer is not obligated to subsidize any part of the device nor is it responsible for supporting the devices' hardware and software. IDC’s findings show that across Asia/Pacific, mobile devices utilized under the BYOD model has accounted for 22.5%, 4.9% and 11.7% of all consumer smartphone, tablet and notebook PC shipped in 2013, respectively. "The momentum of BYOD has definitely increased over the past 12 month and IDC expects it will continue the upward swing in 2014 and well in 2015," says Ian Song, Research Manager for Enterprise Mobility at IDC Asia/Pacific. "With the user experience of mobile devices improving, end users can start to perform more complex task on those devices. 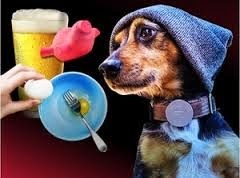 In addition, the price of device has also dropped to a level where increased proliferation becomes possible." Song notes that enterprises across the region are also becoming more open to the idea of BYOD as a way to drive mobility in their organizations. "Close to 60% of all surveyed organizations across Asia/Pacific stated that they have some kind of mobility policy that cater to the practice of BYOD." He observes that BYOD in Asia/Pacific is being driven primarily by the usage of personally owned smartphones in the enterprise. IDC expects that close to 155 million consumer smartphones will be used in the BYOD model across the region in 2014, a year-on-year growth of 40.4%. Tablet BYOD will grow to nearly 4 million units, a year-on-year growth of 62.7%. Notebook PC, on the other hand, will see a steep decline as the PC industry slows down and BYOD users migrate to other BYOD platforms. IDC expects just 3.1 million units of consumer notebook PC will be utilized under the BYOD model, a year-on-year decline of 20%. However, IDC does not anticipate the BYOD growth will last. 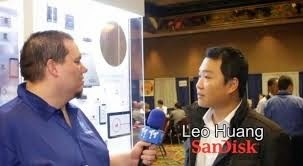 "BYOD smartphone utilization will peak around 2016 to 2017, and tablets will peak around 2017 – 2018," says Song. He explains that the bottom line is BYOD is a compromise between users and the enterprise. “While BYOD has a capability to streamline some of the internal operations, personally owned devices will not be able to drive core business functions without compromising security and management." To this end, IDC believes that enterprises across Asia/Pacific will begin to revisit the corporate-liable model with a twist: giving employees options to chose the device they want to use. IDC calls it Choose Your Own Device (CYOD). CYOD may eventually take some of the steam away from BYOD, but IDC believes that most organizations will adopt a hybrid BYOD/CYOD policy that address device ownership and usage base on requirement. "IDC expects that developed markets like Australia or Singapore will see a decline in BYOD adoption as early as the first half of 2016 as mobile devices saturate the market and this hybrid model begin to take hold," says Song. "Developing markets will take quite a bit longer before smartphone and tablet BYOD start to decline as these types of devices are still in high growth phase in those markets, and maturity toward enterprise mobility is low."